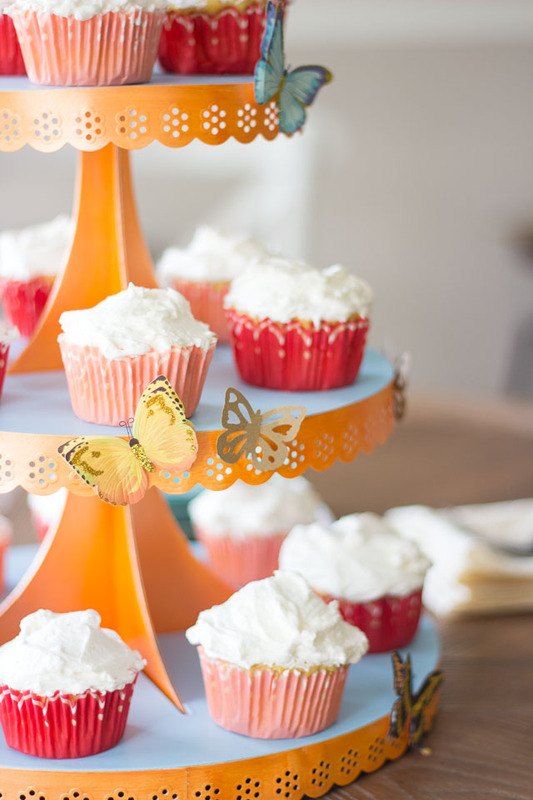 DIY Spring Cupcake Stand – and a Martha Stewart Giveaway! Today I am excited to have another fun 12 Months of Martha project and a Martha Stewart giveaway for you all! 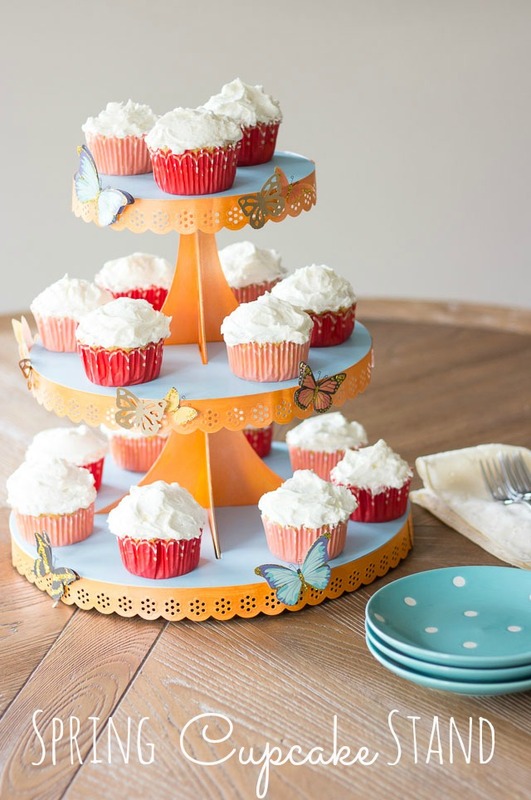 Martha Stewart sells these pretty cupcake stands in white. They are perfect for parties and the beauty of them is that you can embellish them however you like! 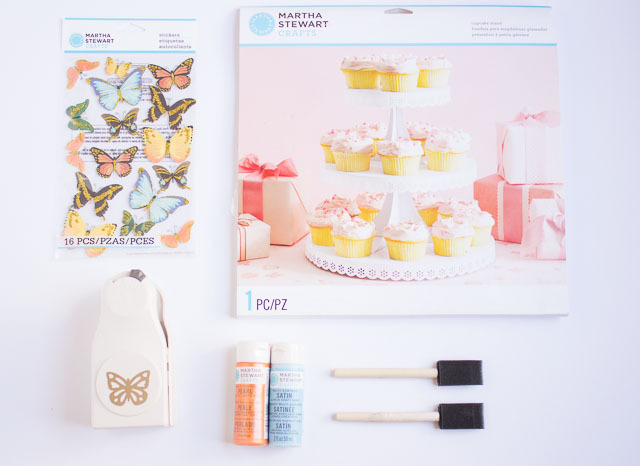 I gave mine a spring makeover using my favorite Martha craft paints and her beautiful butterfly stickers. 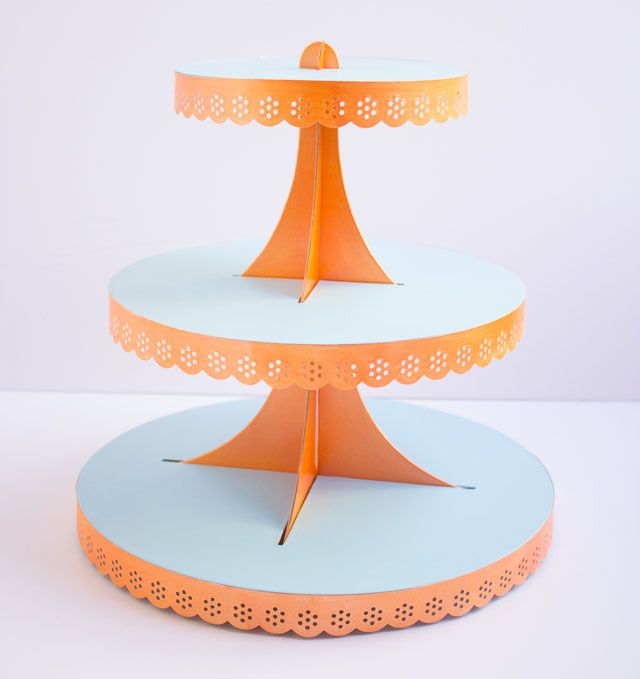 This cupcake stand is going to be the centerpiece of an exciting Mother’s Day brunch project I’m working on for the folks at Martha Stewart. I can’t wait to share more photos with you in the coming weeks! In the meantime, this serves as a little sneak peek. 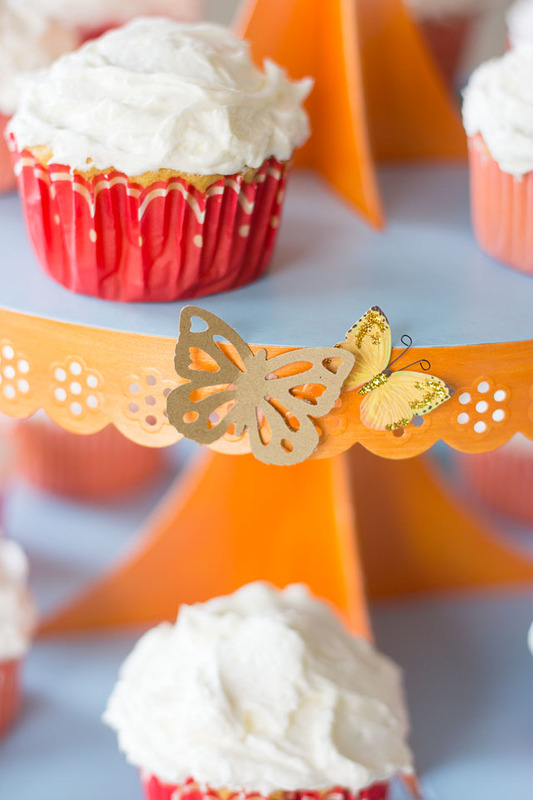 How gorgeous are these butterfly stickers?! 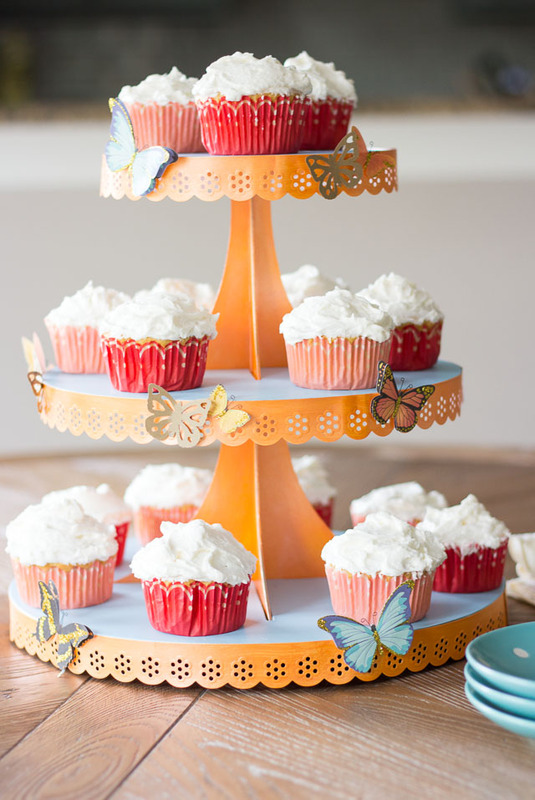 If you have a birthday party or a shower coming up, these cupcake stands would make a sweet addition. Here’s how you can make the butterfly version, or have fun putting your own spin on it. 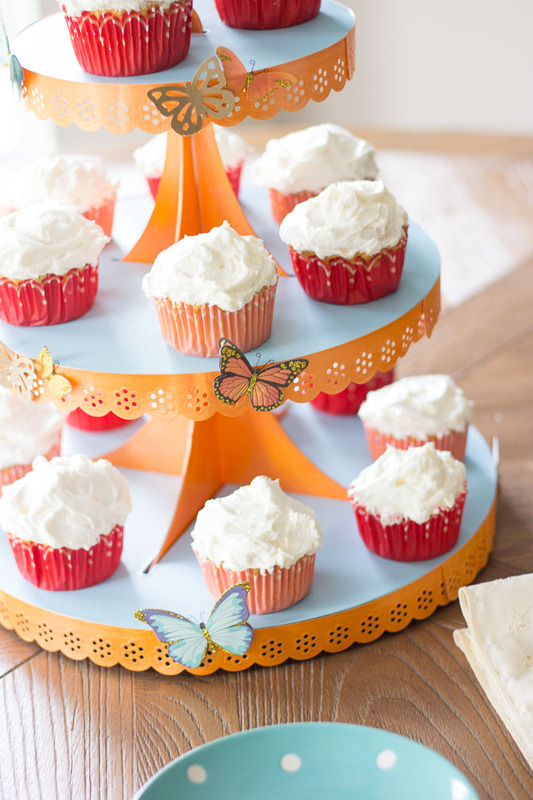 Enter below to win supplies for making your own Martha Stewart cupcake stand! 1. Paint the three rounds. I used 3 coats of paint (each coat dries to the touch within minutes) and I only painted one side of each round. 2. 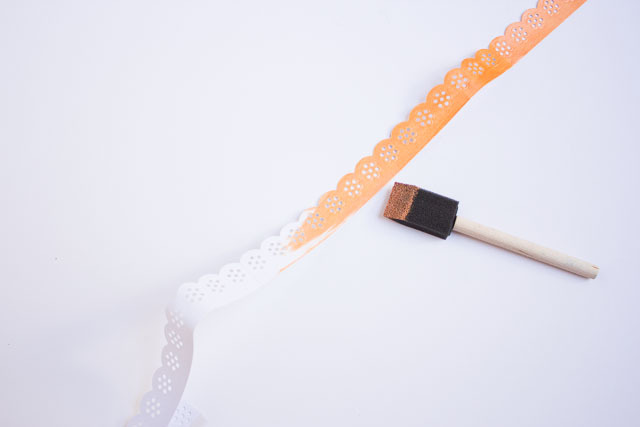 Paint the doily trim. I only used one coat of paint on the trim. 3. 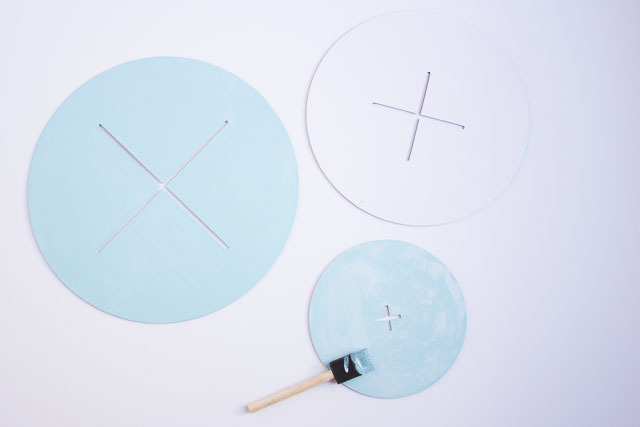 Paint the base and once dry assemble your cupcake stand according to the package directions! 4. 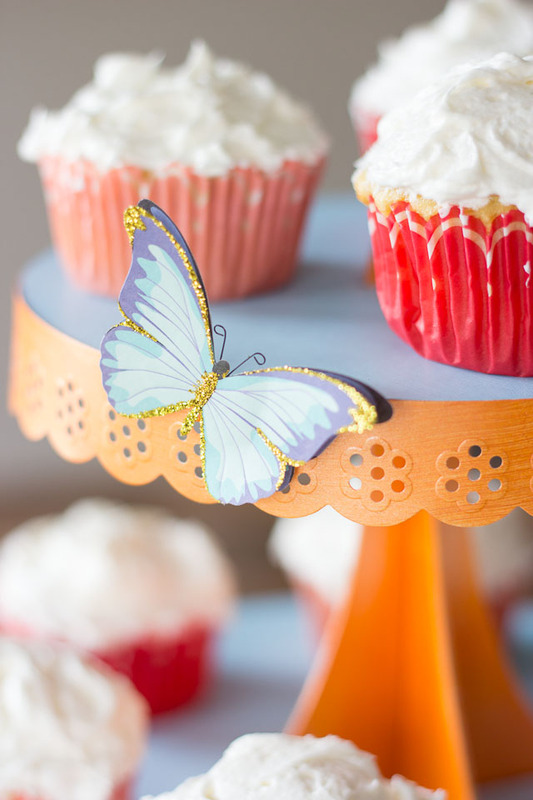 Embellish with the butterfly stickers and butterfly punches. You’re done!